10 Things You Should ONLY Trust Your Tailor With & Why! Sure, shopping is in our blood, but we really need to know when to put our foot down and just go to the tailor for some things! Yes, it is not the same as a shopping spree with your besties, and carrying those big bags out of the mall, but once you experience the HUGE difference it makes - to both your look and your wallet - you probably won’t be returning to stores for these things! Many of us don’t wear saris daily, but, oh, when we do, we definitely want to make an impression! And that isn’t possible if your blouse doesn’t fit you just right. Be mindful of your bra when you’re getting measured, though. If by some odd chance you’re wearing a bra that is more or less padded than your usual ones, the fit just won’t be right! And the other advantage is that you can get customized, measured pads sewn in. Perk: Looking like a total pataka! Can’t be looking jhalla at work, right? It was all okay when you were spending most of your time in the college canteen, but it doesn’t work when you actually start going to office. So get all your fabrics ready and get a variety of them stitched in some smart and flattering designs. It will definitely be cheaper than buying 20 fancy readymade kurtis and then having to get them altered! Perk: Never having to worry about what to wear to work! There are a million things to consider when getting this done - the fabric, the lining, the pattern, the pockets! And it’s next to impossible to find something off the rack that’ll be to your exact specifications. This will be an investment you won’t regret, trust us! AND the investment you make in getting a blazer tailored will definitely be less than if you were to buy one with the exact same fit from a really expensive brand. Perk: Saving a hell of a lot of money! They might seem simple, but they actually decide how well your saree will look on you! A petticoat that hugs your hips just right and is the tailored according to your height will make sure you are comfortable in the sari too! After all, you need your leg space when walking AND make sure that the sari drapes just right - it’s very different from person to person. Perk: You can even dance in your sari, desi girl style! A shirt that hugs you in the wrong places is the worst faux pas. And we know you’re thinking you can find your exact size in the stores, but that isn’t the case for most Indian body types, especially if you’re well-endowed. 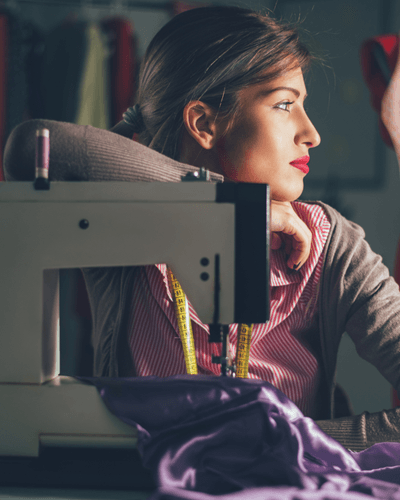 Getting them tailored to your right measurements will make sure you there isn’t ever another awkward gap between the buttons - that’s an issue most of us can relate to! Perk: Making just the BEST impression! When it comes to a skirt-suit, fit and match are THE most important things. And finding a single brand that makes a perfectly fitted set is next to impossible - either your jacket doesn’t fit right, or the skirt, unfortunately. Whereas, if you get it tailored, you can choose the material that gives you the best fall - and you don’t have to go from store to store trying to match the colours - or, worse, patterns! Perk: You’ll have that Girl Boss look down pat! If it’s a special occasion, of course you want to look special! A store-bought Indian outfit will always be a bit loose at some or the other place. In case you don’t get a chance to get the whole thing stitched, definitely keep a few days to get it altered to get as close to perfect fit as you can! Perk: Buy 1 or Get 3 Stitched! You choose! 10. Your Wedding Outfits, DUH! It’s YOUR day and that spotlight is going to be you, you can’t possibly want that seam to not sit right or a gape in your blouse! Plus, you definitely get to make all the changes you like without having a designer give you judging looks. Perk: Bound to shine, with ALL eyes on you! Things To ALWAYS Keep In Mind! Yes, we’ve told you what all you should get tailored. But there’s more to it than just buying some fabric and running off to the nearest darzee! 1. Take time to try things on when you go to pick something up from the tailor. Sometimes, it takes 2 or 3 alterations to get things right - so patience is key! 2. Have that one sample for everything! Most people have a kurta that just has the most amazing fit, and that’s the one that should be used as a sample for all your future kurtas. Or till the time you get a new favourite. You know what we mean! 3. Then there is the case of finishing. Unless and until you were a fashion design graduate who attended each and every class, you might not realize if something is missing. So borrow a friend’s jacket for a day to compare and see if your tailor missed out on something as little yet essential as a button hole. 4. Have specialist tailors! 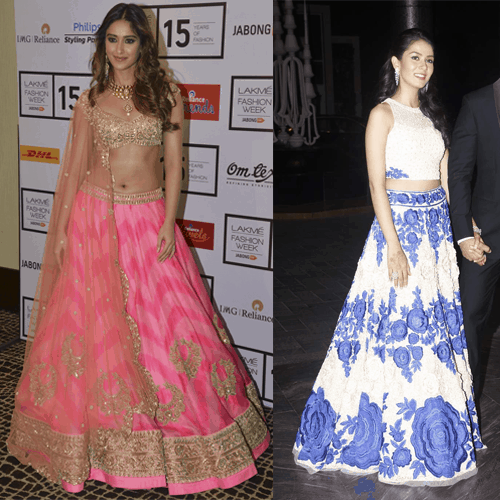 There are some who do full Bollywood style lehengas but can’t stitch up a basic white shirt and vice-a-versa. So, ask for recommendations, do your research and then choose!